The field of sports psychology has experienced rapid growth in the last five years. Elite and professional athletes as well as business executives use elements of sports psychology to improve their performance. 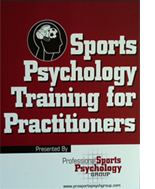 ProFormance provides sports psychology training programs for experienced practitioners. These training sessions provide background, strategies and tools for adding a sports psychology component to an established practice as well as 15 CEUs. The history of sport psychology. Resources available such as professional associations, websites, directories, and relevant literature in the field. The “culture” of athletics and the unique issues facing professional and elite athletes. The mental skills necessary for an athlete to perform at his/her best. Motivation, how to build confidence, anxiety management, eating disorders, use of steroids, optimism, and pre-competition routines. The development of a “mental recovery device” to use in game situations. The final component to the training involves learning from the experts how to market you as a sports psychologist and possible internships and affiliations available. The training typically takes place in a major sporting arena and, as part of your tuition, participants attend, if the schedule allows, a sporting event at the arena. If you want to expand your practice, earn 15 CEUs, feel more confident in working with professional and elite amateur athletes, and add an additional source of revenue to your existing practice, send us your information and we will put you on the class list. Classes are forming with limited class size. Attendees of Sports Pyschology Training for Practitioners have reported dramatic results. "The sports psychology training seminar with Frederick Neff, Psy.D., has enabled me to enhance my psychotherapy practice to include working with athletes in my office and "on the field". 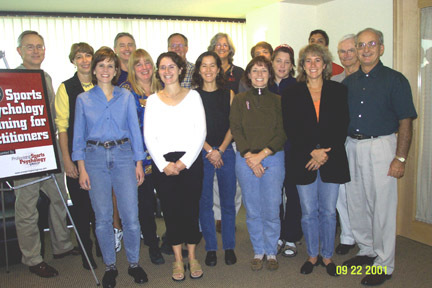 The seminar allows each psychologist to explore their unique interest in a particular performance domain. The material presented was comprehensive and applicable, and the ongoing optional group supervision has been an extraordinary support for making the transition to working with athletes." 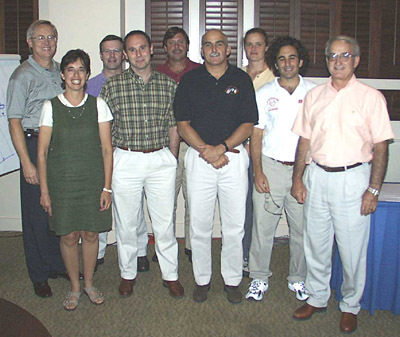 Sharon Chirban, Ph.D. If you’d like more information on future sessions, please call 978-922-4404 or send an email to fneff@ProFormance-inc.com.